I am a man, I like to have my opinion just as much as a female, but I am not into all the making my own website or anything like that. So, I made a deal with my loving beautiful wife that I will help pay for her domain, since a company she works with pays the other half. Not only does she do product reviewing for herself she thinks about the family also, I just dont have the time and managment to maintain a blog, so if she finds something that I could use or they want a review in a mans perspective I go ahead a be a guest on her blog. I mean she has a Parent page on her that undeneath is all the reviews I have done on her site. We feel this is more of a family perspective product review site for all ages, Even though our 8 month old cant say much but dada and a few others, we like to keep her important. So when my wife was looking at freebies through her forums she looks up she saw the free Dry Spray deoderant. It also said one per household, but I also still get mail at my mothers house , so she went ahead and signed me up for this ne Axe. Let me tell you loud and clear this beats any type of Axe under arm product, it lasts up to 48 hours. I help my older brother drive him to his jobs he has, and I swear a lot yes there is A/C in the car but what is does for work. I sweat waiting for him. Unlike my wifes Dove which doesn’t have a cap it has a rubber top button she presses to get her antipersperant under her arms and all over her body. I do that with the Axe also. I spray myself down with it. But I like that you can twist the cap back and forth to open and begin using it. Just like the Dove keep it 6 inches away from the under arm but all the men that I know don’t do that they spray underarms and the rest of the body. I tend to call it the chick magnet , it makes my wife a little jealous and hurt but she knows she is the only one for me. 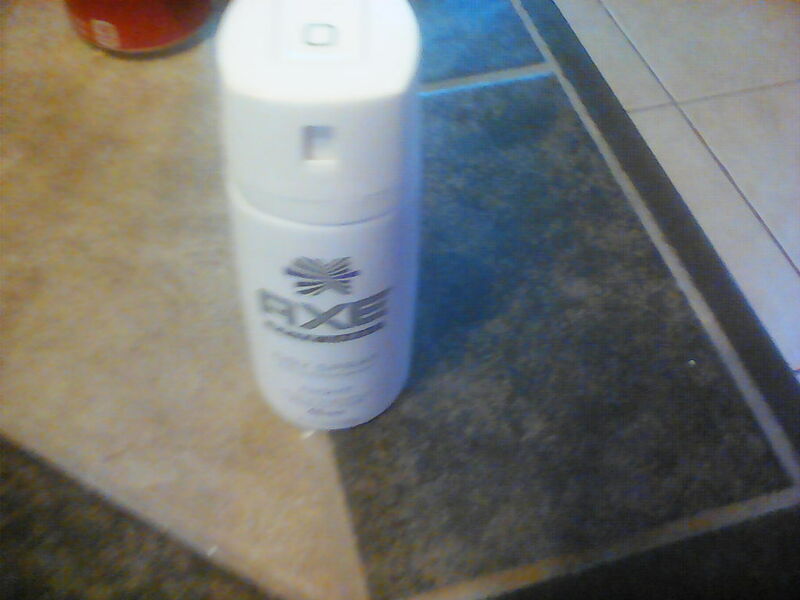 I think I found my scent of Axe and its the Dry spray, also upon reading the canaster, it says NIGHT : CONFIDENTLY FRESH FOR 48 HOURS. I honestly believe in all deoderants 48 hours is the longest I seen to hold a smell to it, I put it on mulitple times a day and I can tell you , when I put it on for be and wake up sweating, I can still smell the Axe.